Hello all! Just a quick status to share some fantastic news. I received word late last night that The Butterfly Crest has been selected as a finalist in the Readers’ Favorite International Book Award Contest! It made the cut in three categories (Fiction – Fantasy, Fiction – Paranormal, and Fiction – Supernatural), so please keep your fingers crossed for me and the little beasties!! Oh, and if you happened to miss yesterday’s interview of the immodest Mr. Muse, you can take a quick look here. Hi all! Patrick Wong, author of Balancer, invited me to participate in The Writing Process Blog Tour. For those unfamiliar with a blog tour, they are chained posts where authors answer a few questions and then tag other authors to keep up the chain the next week. For those unfamiliar with Patrick, he writes Young Adult fiction with a paranormal twist. His debut novel, Balancer is about a teenager who has the power to balance Life. You can find Balancer on Amazon here. And with that… here we go. I’m currently working on the follow-up to The Butterfly Crest. This will be the second book in The Protogenoi Series. It has a title already, but I’m going to wait a little while longer before revealing it (just in case). I’m three chapters into Book Two (as we’ll affectionately call it for now), and I’m waking up early in the mornings to get a few hours of writing in before I have to go into the office. 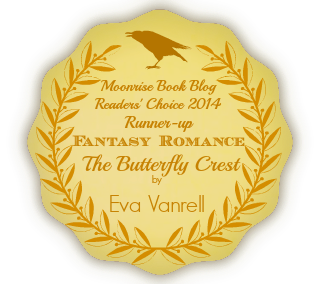 The Butterfly Crest is an epic fantasy set in modern times. Its storyline is heavy on mythology; different world mythologies in particular. What sets it apart from other works in the fantasy genre is its treatment of those mythologies. The story follows Elena, a human woman who suddenly finds herself in the middle of a Greek myth, in a world where human belief can create or alter the divine. It is a world where all faiths (past and present) are real, and their mythologies are weaved into one mythos. My plan (and I sometimes deviate from plans, so please don’t hold me to this later) is to include at least three major mythologies in each book. 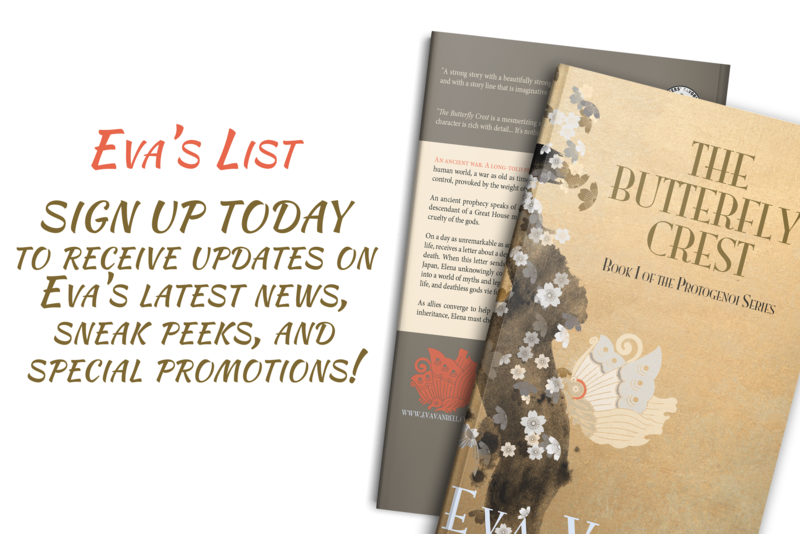 In The Butterfly Crest, you meet the yōkai of Japanese myth, post-modern Greek deities, and the Tuatha Dé Danann. The appearance of yōkai in American fiction is pretty sparse, so including them as a major part of the story was one of the most enjoyable aspects of writing the book. My characters compel me to. This one is a loaded question for the obvious reasons, but also because my writing process has changed from Book One to Book Two. I wrote The Butterfly Crest while I was on hiatus from my legal career. After doing the initial research and preparing a pretty detailed outline, I started to write. I would wake up every morning, dress comfortably, prepare my writing nook and make myself a pot of tea. I would then write for at least 8 hours. If I was having trouble, if Mr. Muse abandoned me, I would sit and stare at the screen until it came. I did this every day of the week. I took the weekends off in the beginning, but towards the end the writing started bleeding into my weekends. Writing Book Two has been completely different. I’m juggling writing with managing my own law practice, so I can’t dedicate 8 hours a day, 5+ days a week to writing. Now, I wake up every morning at 5 a.m. and write until 7:30 a.m. I have an outline, but not nearly as detailed as the one I had for Book One. The process is much looser this time around, since all the groundwork has already been laid, but the allotted time slots bring their own brand of problems (you can read about my disgruntled writing elves here). Being “in the mood” to write wasn’t an issue before because I had the luxury of time, but now, if Mr. Muse acts up and his mood lasts more than two and a half hours, there goes my writing for the day. Stopping mid-scene (because of the allotted time) has taken some getting used to. The process is slow going, but I’m having a ball with it (when the writing elves are happy). And with that, I’m passing the torch to author Ben Starling, an Oxford grad who is passionate about marine conservation and boxing, both of which are central themes in his upcoming novel. He is currently Writer in Residence for Mirthquake Ltd., a production company that advocates for ocean health and welfare. Check out Ben’s blog next Monday, July 7th! This week’s image is “Bullfinch on Flowering Plum” by Ohara Koson. Ohara was a Japanese painter and printmaker of the late 19th and early 20th centuries, and part of the shin-hanga (“new prints”) movement.